It’s a magical moment when you’re excitement for a new album shifts from “Man, I really enjoyed their last album” to “Good Lord, have you heard the new tracks!” It’s been three years since Arcade Fire released Neon Bible and thanks to radio station 107.7 The End in Seattle, the wait for new Arcade Fire music is now over. 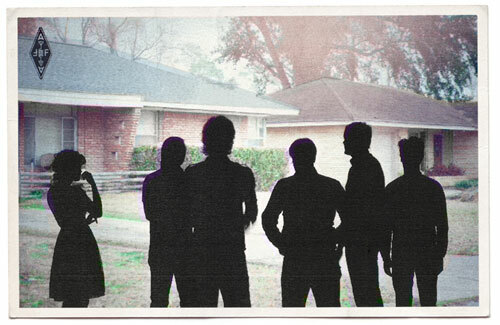 A couple of days ago they posted two songs from Arcade Fire’s new album, The Suburbs, that’s due out on August 3rd. To say that this album has been one of the most highly anticipated albums of the last few years is an understatement. Now that new material has surfaced, the buzz should hit astronomic levels. After listening to the two tracks a few times, I think any fervor and hype is well deserved. These songs are absolutely gorgeous and they embody what we’ve come to expect from Arcade Fire. I couldn’t be more excited to hear what the full album is going to sound like. My favorite of the new tracks is “Month of May.” It’s the heavier, more guitar-driven of the two and it really captures Arcade Fire’s unique spirit, energy and power. Lead vocalist Win Butler’s frenzied yet focused delivery is always the anchor for the band’s whirlwind of music. There are so many things happening in an Arcade Fire song and when you try to listen for all the layers, it makes the song as a whole that much more impressive. Win’s lyrics usually contain some pretty amazing thoughts masquerading as simple, sing-a-long lines and “Month of May” is no exception. How easy is it to convey that apathy and a jaded outlook can make you unnecessarily criticize everything and cause you to be completely unimpactful and ineffective? How about “Some things are pure and some things are right but the kids are still standing with their arms folded tight” and “So young, so young, so much pain for someone so young, well I know it’s heavy, I know it ain’t light, but how you gonna lift it with your arms folded tight?” I’m always impressed and encouraged when a band has the ability to inspire me with their words and slay me with their music. With “Month of May,” Arcade Fire once again lights me up in both categories. The Suburbs is set to be released August 3rd on Merge Records.